I love this! What a cool idea! This is adorable!! I never thought of this, but it would make a very cute, unique gift or a fun project for older siblings to help out with!! So fun! Omg i love this, and is so easy to do. This is a great idea! The arrows are so cute and trendy. 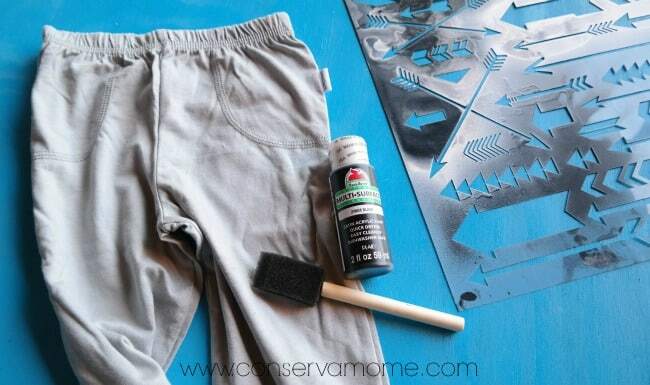 Using stencils will save a good deal of money, especially since kids outgrow their clothes so fast. I love that idea for the cheaper/plain pants! Great idea to find an idea and make your own at home. These are really cute. These pants look very cute. You made the directions very clear and In,ay just try this for my grandsons. 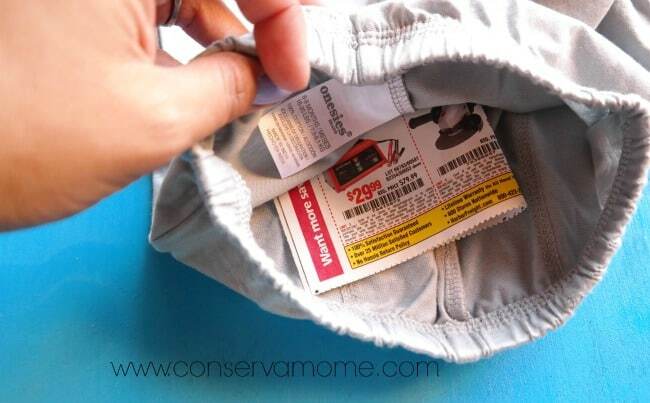 What an easy DIYer! SO cute and easy! Awesome! Now off to search for some plain pants! What a super cute idea ill definitely have to try this! What a cute idea! 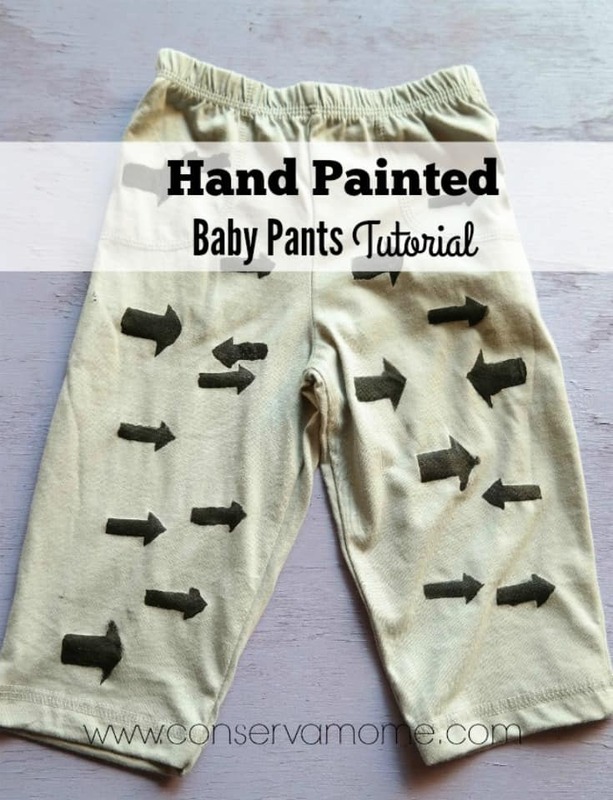 I never would have even thought to paint a cute design on one of my children’s outfits to make it different. What an awesome idea and a lot of fun. They look good too. This will be good for Halloween! Thanks for the idea to help complete my daughters costume! I love doing this to tees. Thank you for sharing this cool and cheap craft! How fun! what a great project for a rainy day. 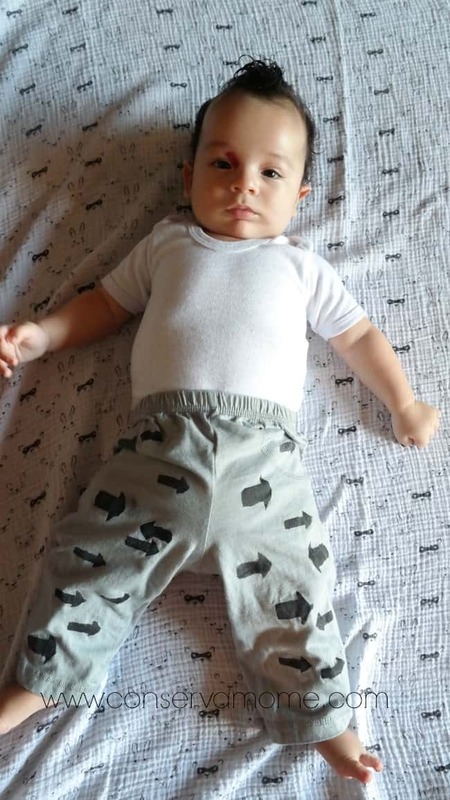 I would love to make my own baby clothes! What a cute idea. These pants are very cute! 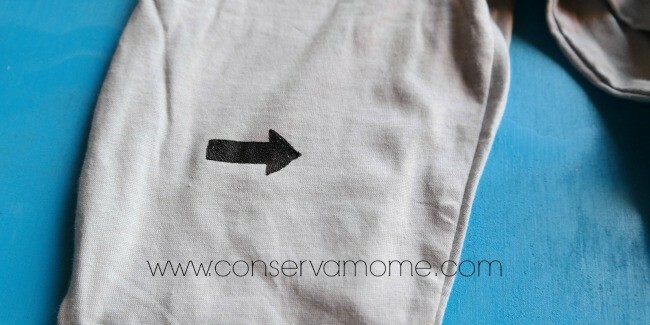 I love the idea of using a stencil to hand paint on your kid’s clothes! 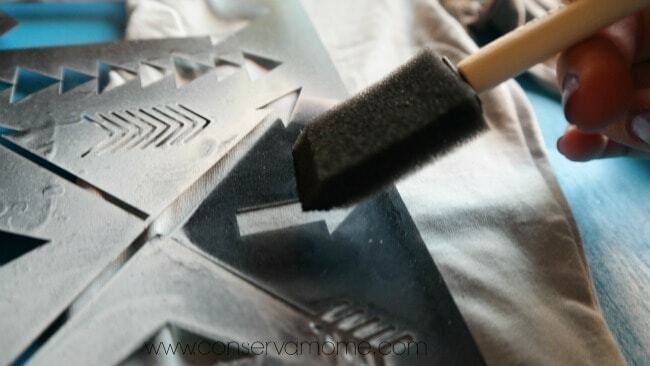 I would love to get letter stencils and make each of my kids a personalized t-shirt! I love this idea and anything custom is so cute!Thanks for showing the steps you did so i can follow which makes it so much easier for me to do!! Ahh!! Those turned out so cute! 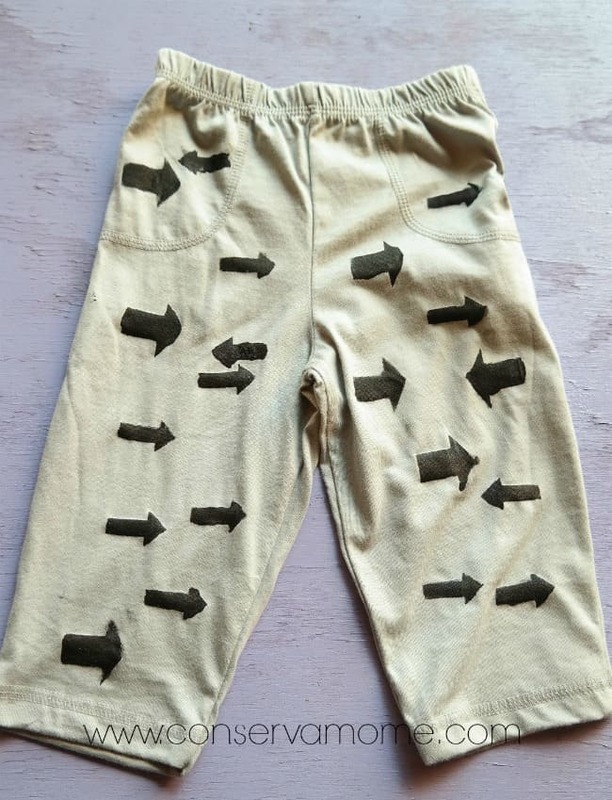 I want to do some leggings for my daughter with a cat stencil! Hopefully they turn out as cute as yours. I think the pants are really cute and fun. This is a really good idea! I like it! 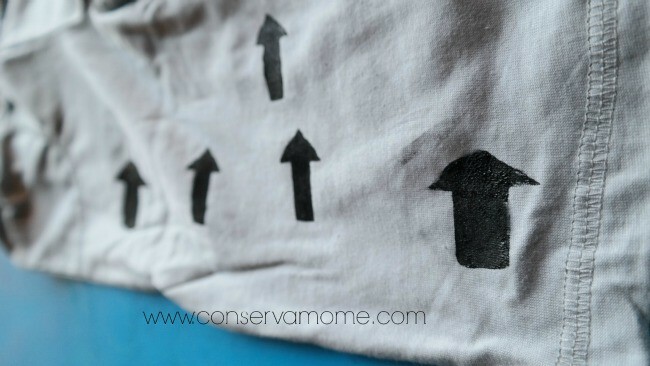 This gives me so many ideas for upcycling some clothes given to my boys. now, that’s a cute idea! You could go with any design to liven up drab old pants! Cute. A fun idea to achieve something you may otherwise not be able to afford! Such a neat idea! Will have to try this out sometime!